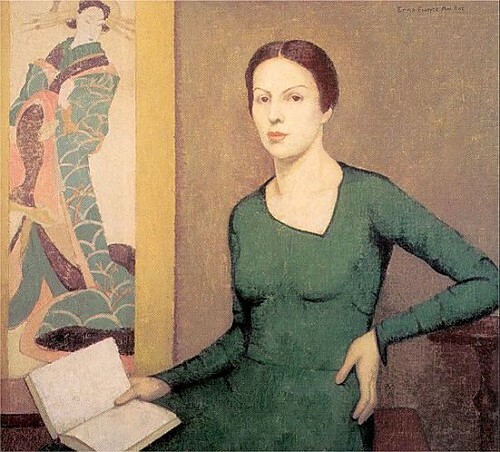 Emma Fordyce MacRae, Melina in Green, 1930, originally uploaded by Gatochy. Click image for 550 x 497 size. Via Bert Christensen's CyberSpace Galleries.